That is a broad statement but it is most likely right on the money. Whether government enforced or self censorship, we are is an alarming situation when it comes to (not) reporting of the facts by the mainstream media. Reports translating and analyzing the release of a French parliamentary committee investigation are full of eye witness accounts and postmortem evidence of ghastly torture of many victims by the hands of Islamic terrorists at the Bataclan theater in Paris. On an eerily similar note, victims of the terror attack at the Holey Artisan bakery in Dhaka, Bangladesh seem to have also met with slow torturous deaths and postmortem mutilation. Though reported in the local press, it was largely suppressed that only those who were determined to not be Muslim were tortured and killed. The details of what the Italian, Japanese, Indian and American victims went through are absolutely inhumane and brutal. This barbarism should make everyone sick – but it is not being reported or discussed to the extent that it should be, in the mainstream media. One has to wonder why and if the concerns around not offending a group have overtaken what society at large has a right to know, so that it can ask tough questions and push for a public reformation. Islamic terror cannot be fought as a anti-terrorism campaign using just criminal justice or military means. America is reeling from the gruesome murder of 49 and injuries to another 53 victims of the terrorist act committed by Omar Mateen at a gay night club in Orlando, Florida. There are many articles and tweets about Mateen’s background but here are some key things to remember about this Islamic terrorist. Omar Mateen was born (Omar Mir Seddique) in New York, to Afghan (refugee) parents. His father has been involved in post-9/11 Afghan politics from the United States. He is purported to be a religious (Muslim) man who regularly attended the Orlando Islamic Centre. Mateen was married and then divorced, accused by his ex-wife of abusive behavior. He was unabashedly anti-gay but is also believed to be a registered Democrat. He was questioned a couple of times by the FBI after making inflammatory comments to co-workers. Since 2007, Omar Mateen was employed as a security officer by Homeland Security contractor and global security services company, G4S. As part of this job, he passed stringent government background checks (in 2007 and 2013) and was not on any terror watch list. Omar Mateen was also licensed and trained by G4S in handling firearms as a security officer (aka private cop). He is reported to have called into 911 just before his attack on the Pulse night club and claimed to carrying out his act of terror on behalf of ISIS. It has been nine days since the San Bernardino terrorist attacks that brought the threat of ISIS/ISIL’s radical Islamic terrorism to life in America. We decided to stand back and observe rather than post in haste and by doing so find some interesting trends that occurred after this devastating terrorist attack. We went from initial reports of three attackers, to the shifting media focus on gun (control), to the notion that this may have been a case of workplace violence. In the era of political correctness, we had to have been fed some of these trial balloons before finally getting official acknowledgement that this was likely yet another example of worldwide radical Islamic terrorism. Syed Rizwan Farook and Tashfeen Malik are accused of this heinous terror act that killed 14 and injured 22 at the Inland Regional Center in San Bernardino. They are believed to have been on their way to another target when they were intercepted by the police and killed in the ensuing gun battle. We have learned a lot lately about Syed Farook and Tashfeen Malik: he an American born of Pakistani descent and she, his wife and a legal American resident born in Pakistan. They met and were married in Saudi Arabia where they are also believed to have been radicalized. The Saudi connection seems to be a very sensitive topic in American media as no one really wants to rock any boats full of such wealthy benefactors. Pakistan is also implicated in this nasty affair as a haven for religious schools/madrassahs that promote radical Islam (some of these “schools” also operate in North America). Other questions remain. Are there any additional suspects being held in secret for this San Bernardino terrorist attacks? How were reporters allowed to rifle through the home of the terrorists days after it was a sensitive crime scene? How did they produce so many (14) pipe bombs? Nor have we heard much about the help that Farook and Malik may have received from other accomplices in the United States. The state of fear that has followed the San Bernardino terrorist attacks has been used by many special interest groups. Donald Trump has jumped on the bandwagon; hawks in the US Senate want to take the war to ISIS in Syria with a broad coalition of 100k soldiers; Silicon Valley is in the cross hairs of the American national security apparatus for providing “foolproof encryption”; “active shooter” is now part of the common vernacular and so on. Terrorism is sadly a risk in these times but living in a state of fear is not the appropriate response. 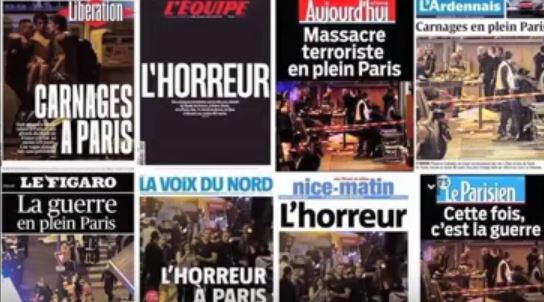 The last few days have seen wall to wall coverage of the gruesome terrorist attacks in Paris, France. Reporters are live on the scene; experts are being trotted out to provide the viewers analysis and rationale for these senseless killings. A lot of interested parties are taking this opportunity to forward their agendas and views. The average media consumer is being bombarded by facts and opinions and directed to believe a particular narrative but not Glenn Greenwald. He believes that the level of propaganda is at its highest level since the PR campaign to justify the invasion of Iraq after 9/11. Glen Greenwald may be a polarizing figure but this interview from the Democracy Now show is very clear, insightful and raises some good points. 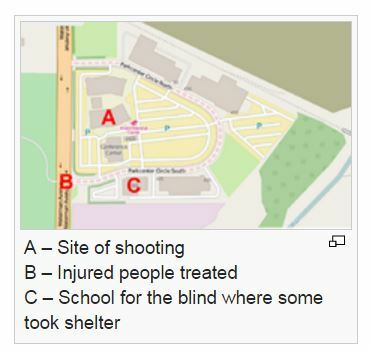 Who conducted these attacks? Why did we have another failure from an intelligence apparatus flush with resources? How was ISIS/ISIL allowed to get this powerful? Why is this tragedy is being used/abused to forward agendas? Why are reporters not asking any tough questions? It would be well worth the reader’s time to watch the interview of Greenwald conducted by Nermeen Shaikh and Amy Goodman. It should provide some deeper analysis and facts – more than what the talking media heads are. Friday the thirteenth saw the largest act of terrorism to have been perpetuated in Western Europe in the last decade. 129 people were killed and 352 injured (with 99 in critical condition) in a series of shootings and suicide bombings conducted by Islamic terrorists (ISIS has taken credit for these terror attacks). This is the second major terrorist incident in Paris this year (first was the Charlie Hebdo killings). The attack is also eerily similar to the 2008 attacks carried out by the Pakistan based terrorist group Lashkar-e-Taiba in Mumbai. In both cases we see a string of sustained terrorist attacks carried out by a group of trained terrorists in the manner similar to small special operations teams. We have not seen a lot of good analysis in the media on the similarities between the attacks in Paris and those previously experienced in Mumbai. This attack may have been conducted by Islamic terrorists from ISIS/ISIL but if there is a parallel to Mumbai, it will be some time (if ever) before the organizational structure behind the well planned heinous attack comes to light. Is there someone who played the role of David Headley in these Paris terror attacks? 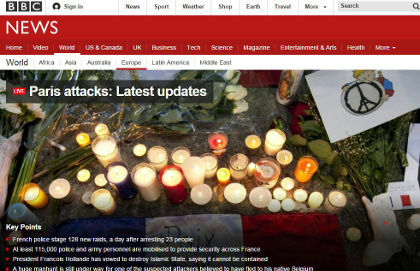 Click here for ongoing live web coverage of the attacks and subsequent events by the BBC. The Mirror also has some good eyewitness accounts of the carnage.